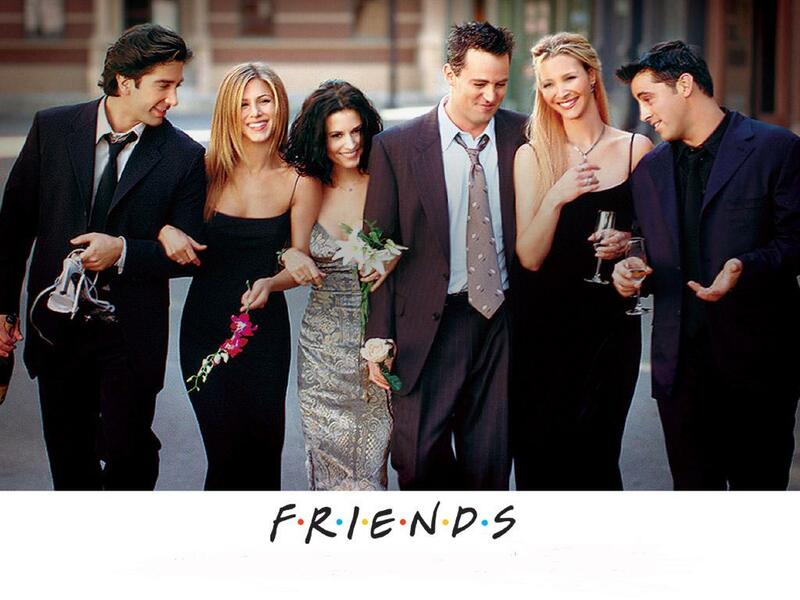 One of the most popular TV series of all time, Friends ended almost nine years ago, in May 2004. All of the six were crazy famous simply from their time on Friends, but who has done the best and worst in their subsequent work? After a number of early failures, most of the actors and actresses have managed to get some new-found success in the past couple of years. Let’s take a look. 6. David Schwimmer – Most of Schwimmer’s post-Friends work has been off screen, either behind the camera, or in voice roles. His primary voice role has been as giraffe Melman in the Madagascar series of films. This has included three films, a direct-to-DVD movie, and a TV special. He’s directed a couple of episodes of Joey, Simon Pegg film Run, Fatboy, Run, and in-studio segments of Little Britain USA, adapted from the original Little Britain. He appeared in British indie Big Nothing, and American indies Nothing But the Truth and The Iceman, and directed indie Trust. 5. Lisa Kudrow – Immediately after Friends, Kudrow appeared on HBO show The Comeback, where she played a former sitcom actress who had descended to B or C level, and was getting another chance at TV fame while being something of a diva. The show was shot to look like a reality show, as The Comeback was a show within a show, a scripted show of a reality show of her character’s comeback. The series received some positive reviews as a satire of reality TV, but wasn’t picked up, and aired just 13 episodes. She appeared in the film Happy Endings, weeper P.S. I Love You, and indie Kabluey. She was in the kiddie Hotel for Dogs and played an unfaithful guidance counselor in high school satire Easy A. She also appeared in her own web series Web Therapy, a dark comedy created and co-written by Kudrow, in which she plays a therapist. Showtime decided to adopt the show, and 2 seasons and 21 episodes aired on the network, with a third on the way. 4. Matt LeBlanc (as Joey Tribbiani) – Immediately after Friends, he starred in ill-fated spin-off Joey, reprising his character, having moved to LA, for two seasons, and the show was extremely fortunate to have a second. After that, it was all quiet until he returned to the silver screen with a starring role in Showtime-BBC collaboration Episodes, in which he plays a narcissistic version of himself, cast, within the show, in the American version of a popular British sitcom. The show has aired for two seasons so far, and is renewed for a third due to air in early 2014. I’m giving him the slight not over Kudrow, because I think Episodes is more relevant than Web Therapy, but it’s a close call. 3. Matthew Perry (as Chandler Bing) – In his first role after Friends, Perry starred in TV movie The Ron Clark Story as the titular Clark, a small town white teacher who tried to make a difference in the lives of New York City minority students. As cliched as that sounds, Perry received praise for his performance, and was nominated for an Emmy and a Golden Globe. He was a major cast member in ensemble Aaron Sorkin dramedy Studio 60 on the Sunset Strip, infamous mostly as a huge failture more than as anything else. He starred in indie films Numb and Birds of America, and then with Zac Efron in Freaky Friday-like 17 Again. In 2011, he got his next chance on TV, starring in NBC’s Mr. Sunshine, with Alison Janney, which was terrible and failed fairly quickly. He appeared in one Childrens Hospital episode, and four of The Good Wife. In 2012, he got his next shot at TV in Go On as a sports radio shock jock who must join a therapy group after his wife passes away. NBC picked up Go On for a full season, and it seems likely to receive another season, though by no means a certainty. 2. Jennifer Aniston – If mere magazine covers were a primary criteria in the power rankings, Aniston would clearly be #1. Alas, they are not. Aniston’s work primarily since the end of Friends has been in film, as the only time she’s returned to TV is in an episode of 30 Rock, and for individual episodes of Friends cast mate Courtney Cox’s two shows, Dirt, and Cougar Town. She’s made a career out of making largely mediocre movies, some of which are more commercially successful than others. Much of her work has been in the romantic comedy genre, starring in films Rumor Has It…, The Break-Up, Marley and Me, The Bounty Hunter, The Switch, and Just Go With It, and mega-rom-com He’s Just Not That Into You. She was also in thriller Derailed, indie Friends with Money, as well as Management and Love Happens. The past couple of years have seen her appear with Paul Rudd in Wanderlust and as a supporting player in surprise hit Horrible Bosses. 1. Courtney Cox – Cox has primarily worked in television since the end of Friends. She starred in her own FX show, Dirt, for two ten episode seasons in 2007-08, where she tabloid editor-in-chief Lucy Spiller. She appeared in three episodes of Scrubs, before getting her own series by Scrubs creator Bill Lawrence, Cougar Town. Cougar Town, also known as the show with the worst name ever, stars Cox as recently divorced mom Jules Cobb trying to get her life together again in her 40s. The show attracted a cult following and aired three seasons on ABC. ABC cancelled the show, but TBS saw an opportunity and picked it up again, and the fourth season is airing this spring. I’m making the controversial call to give Cox the nod over Aniston, because, while Aniston has clearly been in many more movies, they’re pretty much all instantly forgettable. Cougar Town, meanwhile, while never broadly popular, and not a personal favorite, has a devoted cult following that adores the show, including Community’s Abed.